So what principles to follow when designing the drying part? 1. The water in the paper evaporates and is used in the least amount of drying equipment. The drying department’s equipment is large and expensive, so the drying part should be designed to increase the evaporation rate, while simultaneously increasing the evaporation rate without damaging the paper structure. 2. To ensure the quality of paper pages, especially horizontal homogeneity, when the paper evaporates. The second is the paper surface performance, wrinkling, curling and anti – tensile properties. 3. The design of the drying department and its ancillary equipment must be able to reduce energy consumption. The optimum target value is to evaporate 1Kg of water and consume 2960kJ. 4. 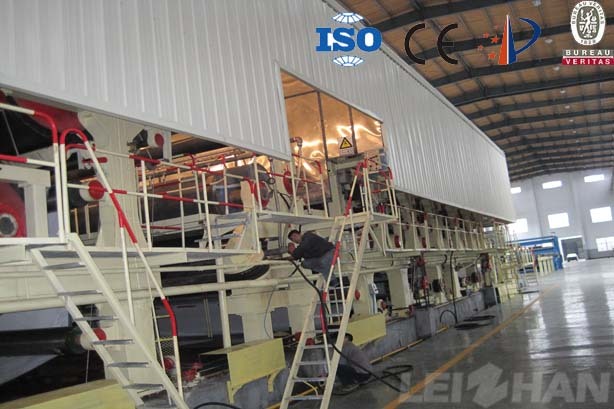 The design of the drying part must make the paper machine have a higher total efficiency, which mainly refers to the cutting of the paper width of the drying part, because the drying part of the paper machine is the big head.